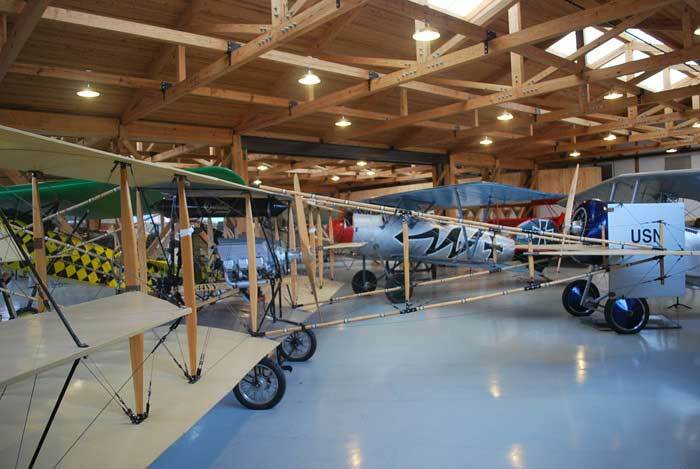 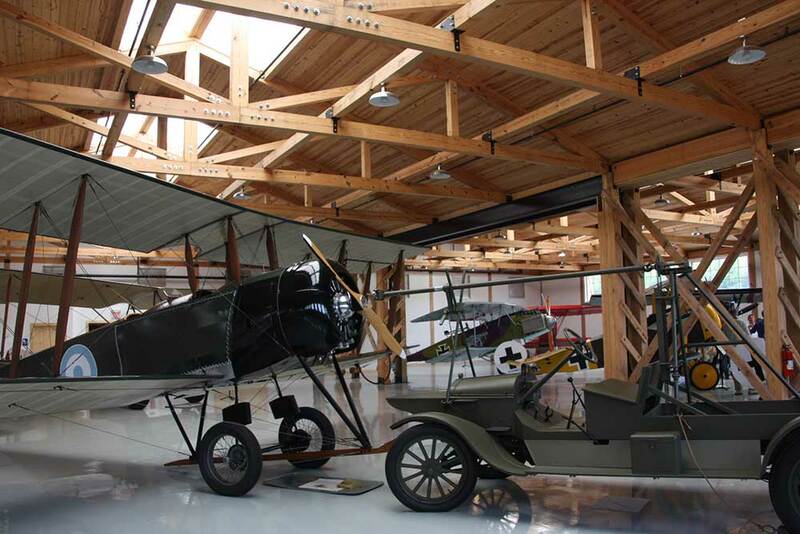 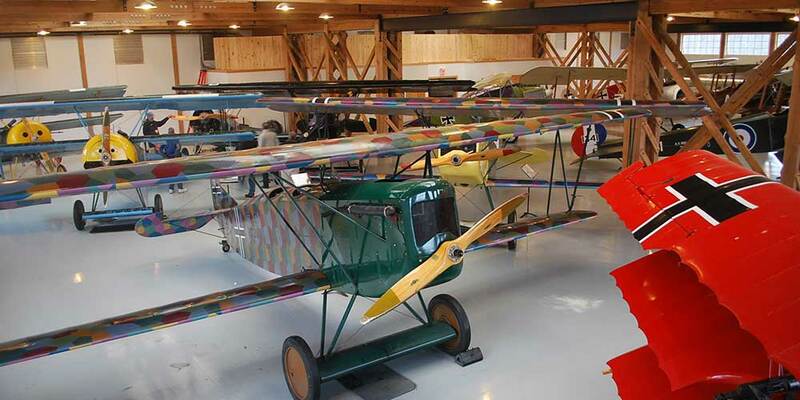 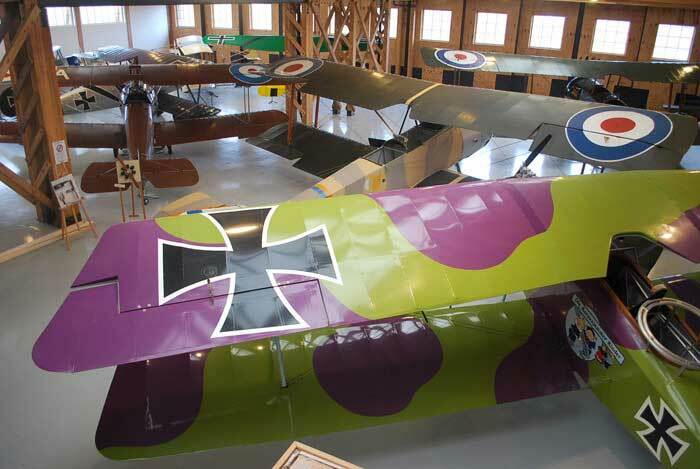 In 2011, the World War One hangar opened. 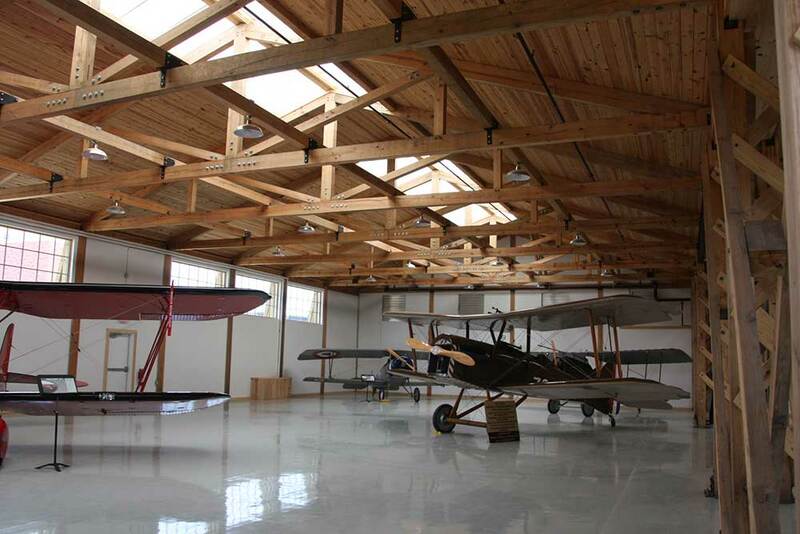 This 15,000 square foot hangar is reminiscent of the French barns that served as hangars during the Great War. 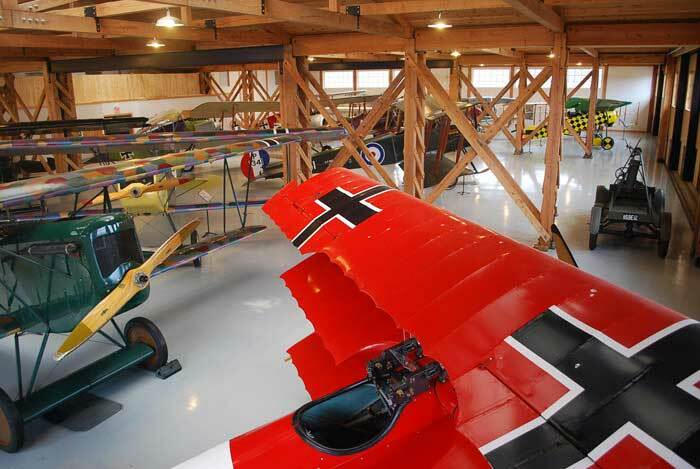 The hangar was designed by Steven Atkin, an architect from England, who is familiar with historic airplanes and European Aviation from both World Wars. 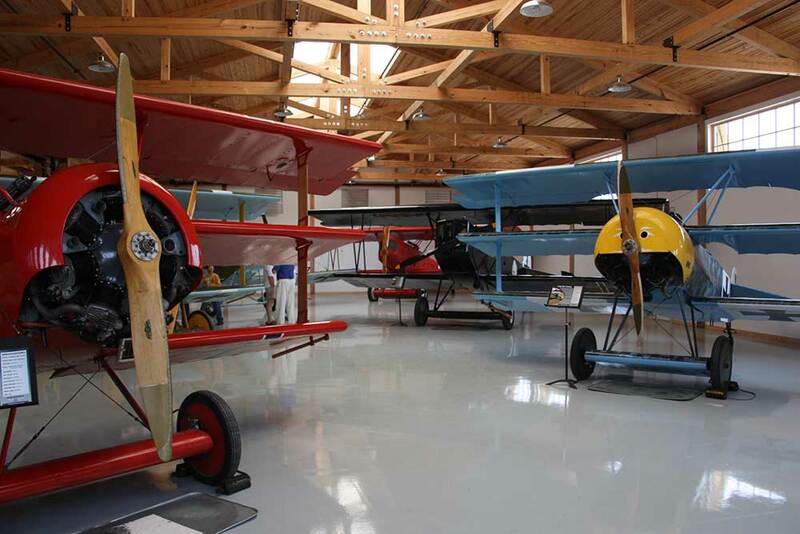 It features smaller hangar doors facing the cross-winds taxiway, which can be opened onto grass parking for the lightweight wood and fabric airplanes housed in the hangar. 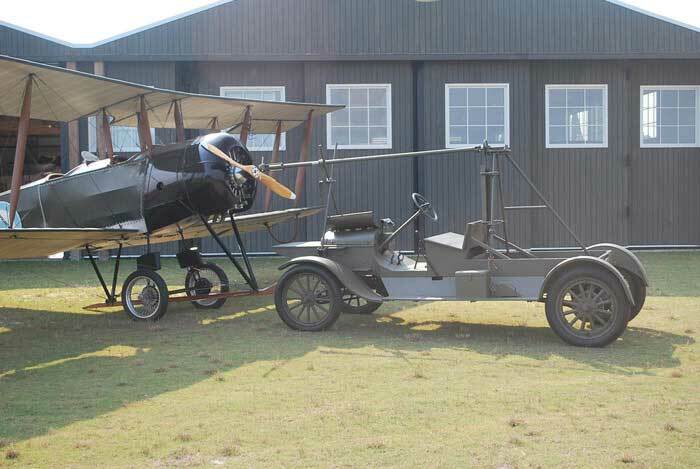 The exterior is clapboard wood, and the tin roof is a familiar sight on many of the older barns throughout Pungo.